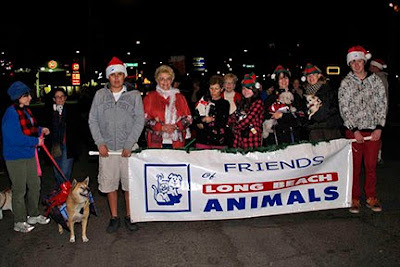 This was our second year joining the Belmont Shore Christmas Parade as part of the group from Friends of Long Beach Animals (www.friendsoflongbeachanimals.org). 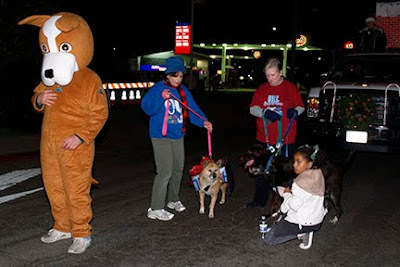 Last year we got to ride on the float but this year we had to walk the entire way. 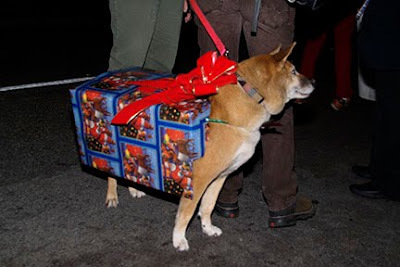 Since Fuji loves to dress up and stand out in a crowd, I made her into the gift of love. 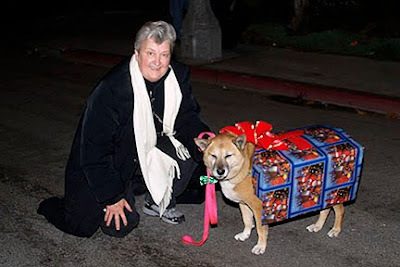 Everyone is always asking me what kind of dog she is…thinking the answer will Basenji, Chinese Foo, or Kishu Inu (which is why she is named Fuji)…but it turns out her mom was an Akita mix and her dad was a Sheppard mix (and she’s half the size of either of those). So when a guy shouted out to me, “Hey, is she a Boxer?” I started to tell him Akita/Sheppard when the joke hit me...tonight she’s a Boxer.